Hey Moms and Dads! Are you looking for a Wild Birthday Party Theme?! Why Not Try A Wild Encounters Birthday Party! 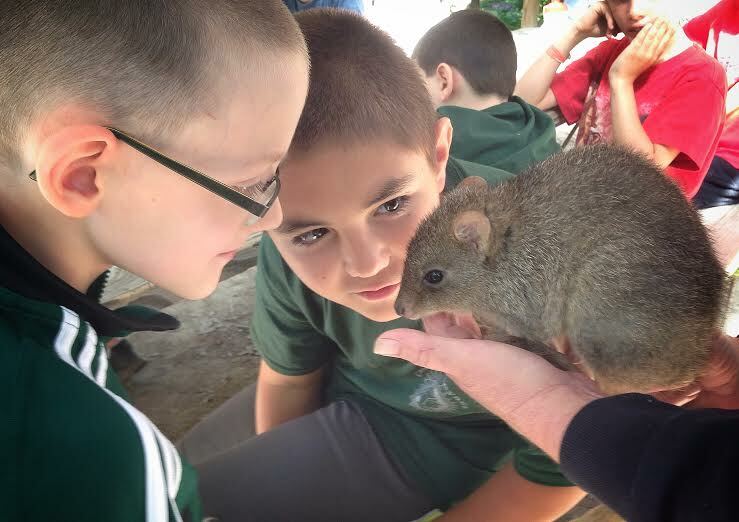 We are unable to provide Wildlife Education Outreach programs in your home but arrangements can be made to do so at a community venue. Contact us to discuss what we can do for you! Celebrate that special birthday in an extraordinary way with the Wildlife Rockstars and their amazing native and exotic animal friends! Your Wild Encounters Birthday Party will consist of up to one hour of up close and personal live animal encounters. The animals will come from our unique selection of over sixty mammal, reptile, amphibian, bird, and invertebrate species. Celebrate that special birthday in a party space for up to two hours for 12 children ~ includes one hour wildlife presentation with a trained handler with up close opportunities to meet between 6-10 animals, birds, reptiles and more! Also included are 12 wildlife themed invitations, birthday decorations, paper goods, photo opportunities, & a special gift for the birthday child! You are welcome to bring in birthday cakes and your own decorations! The Clubhouse location includes an air hockey table, table tennis, basketball arcade game and dart board to add to your party fun! A vending machine and kitchenette are also on site. Please submit any questions, suggestions, or general feedback in the space below along with your name and e-mail address. We'll get back to you as soon as we can. Thank you.